Bob Ross is a cultural icon. 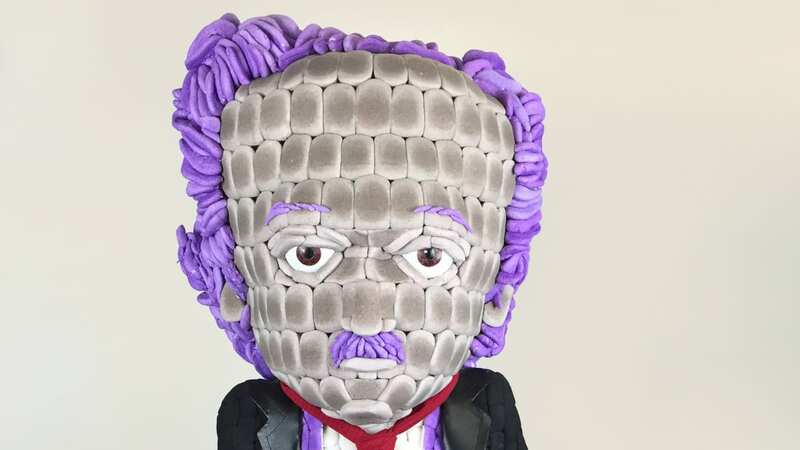 His fluffy hair and wholesome quotes about “happy accidents” and the benefits of having a tree as a friend have inspired endless memes, Halloween costumes, and T-shirts in addition to a Chia Pet, a Funko toy, and other weird and wonderful merch. Now, the painter is inspiring a new generation of artists nearly 25 years after his death. 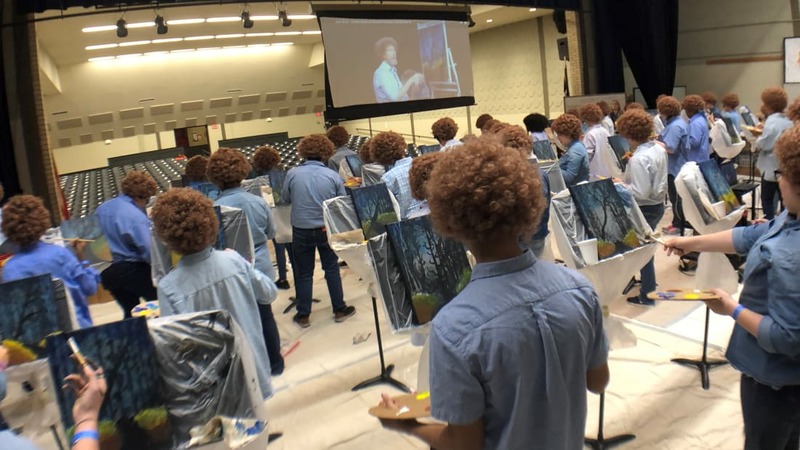 As the Associated Press reports, art students at a Texas middle school recently dressed up like Bob Ross and painted along to an episode of The Joy of Painting to honor the public television personality. In an AP video posted to YouTube, dozens of eighth graders at Madison Middle School in Abilene, Texas can be seen sporting curly wigs and button-down denim shirts while holding paint palettes. The activity was held in the auditorium, where music stands were turned into makeshift easels and an episode of The Joy of Painting was projected onto a screen. The students got to practice their sponge brush and landscape painting techniques while also learning about a legend in the art world. 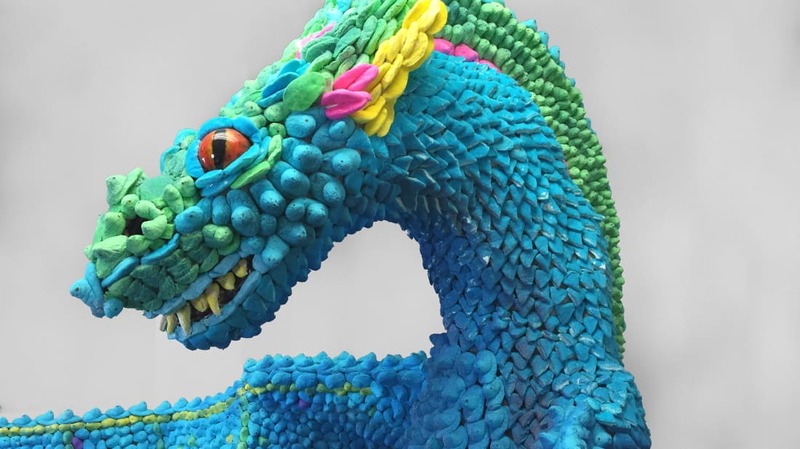 "This was just a fun way to incorporate art history, too," Sloane told the newspaper. "He's a part of art history, right? The excitement the students feel when they realize this is an educational experience and a fun experience at the same time is just wonderful to watch."